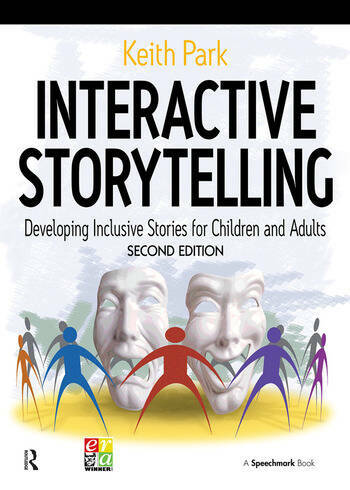 Interactive storytelling, where the story is spoken or chanted, began as a way to include individuals with severe and profound learning disabilities in larger group activities, whether children at school or adults in day services. The stories are performed in call-and-response - one person calls out a line and the rest of the group respond either by calling back the same line or by calling out a pre-arranged response - and require no previous experience in drama or storytelling. They can be performed anywhere, by anyone. Various stories are explored, ranging from folktales and pantomime to poetry, the works of Charles Dickens, Shakespeare and stories from the Old Testament. Each extract details the full call-and-response for performing the story. This approach to storytelling can be used by teachers and group facilitators in a variety of settings and with any group of children or adults, irrespective of their level of disability. This hands-on manual will enable teachers, therapists, parents and anyone working with children or adults in community settings to use performance and recital to bring stories, drama and poetry to life for people of all abilities. 'This book is a useful resource...is simply written...is especially appropriate for people working with children and adults with speech, language and communication difficulties.' - Child Language Teaching and Therapy.